Backlash over Kim K straightening North West's hair - who owns straight hair? YOU'RE READING Backlash over Kim K straightening North West's hair - who owns straight hair? The internet seems to be divided on this one. I don’t have a problem with other races wearing braids as long as they grew up in a culture that involved that hairstyle. I have a problem when we KNOW damn well that kim did not grow up living that kinda lifestyle. it just feels like she’s wearing a costume or something. Because being black is more than a trend, having a black husband doesn’t give you a pass. Kim Kardashian wasn’t interested in braids until being black and using black hairstyles became in style. She grew up in a wealthy white neighborhood. It’s performative. If you want to wear braids, wear them sista!! Braids aren't strictly a black thing just like straight hair isn't strictly a white thing! If braids are cultural appropriation, then what is straightening your hair or wearing a straight wig? The question that comes out of this, is who owns braids, right? 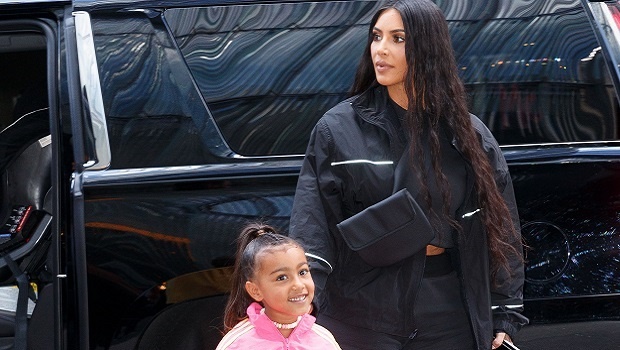 For a while now Kim has also been getting flack for straightening her 5-year-old daughter's hair. 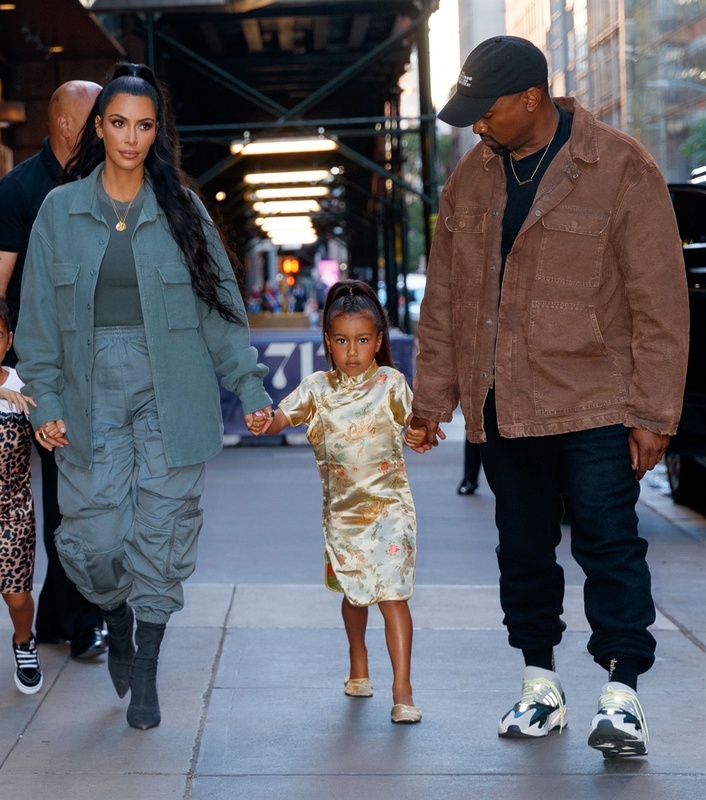 North has been spotted on a few occasions out and about with her parents sporting straight, loose tresses or with an Ariande Grande-esque pony, according to Harper's Bazaar. So much more to be focused on in this world but people choose to make North's hair a priority?? Let @KimKardashian be a mom... Big deal.. The main reason for controversy in this case, as with every case of cultural appropriation, is claiming. Who can claim this hairstyle as part of their culture, and their culture exclusively? Who owns straight hair? "Culture is a moveable feast, not a fixed state." Michael Morris, head of media at the SA Institute of Race Relations says, “I think that how we present ourselves to the world is – and ought to be – an individual choice unencumbered by notions of how we are meant to be seen. The identitarian politics of our time is a baleful influence on this freedom to be just who we wish to be, and there can be no sensible principle of any virtue attached to criticising, say someone, who chose to wear dreadlocks on the grounds that he or she was stepping beyond the pale of acceptability. "I, like many others, prefer minimum interference with the physical attributes we are born with – but this really is only a matter of personal taste and cannot by any stretch be considered a morally, culturally or politically superior position. "I certainly don’t think it’s anybody’s business to presume to tell me that I ought to dye my greying hair, or tell Kim Kardashian that she shouldn’t have her daughter’s hair straightened now and then. North West seems a perfectly happy little girl and there is no reason to presume that her trying different hairstyles will do anything to undermine her identity or subject her to any cultural anguish. And, after all, culture is a moveable feast, not a fixed state. What’s constant about the human condition is our boundless capacity for change, innovation and experimentation against which neo-traditionalism will always seem effete and rather pointless." Harper's Bazaar notes that Kim K has always, whether on her reality show, social media or in interviews with magazines, emphasised that North loves her curly hair. But does that mean she is never allowed to wear it straight? READ MORE: Twitter said it's racist - but is it really? Natural hair blogger, Carly Fillis says, "When it comes to hair, it's such a sensitive topic and yet we still being frowned upon, for either having straight or curly hair. Should we ever be allowed to question how a mother chooses to groom her child? If it's borderline abusive, and there is a valid concern for the child's well-being, then yes. Other than that I find it difficult to criticise a mother's parenting. I think, adding to what Fillis says, it's definitely about how we value curly or natural hair vs. straight hair. If we chemically alter natural hair to appear straight it's problematic, especially when it comes to altering a child's appearance in this manner. When it's just a way of styling, using a blow-dryer, it's not harmful. We've been debating a lot about this piece in the office. What do you think? Mail us with your comments chatback@w24.co.za.